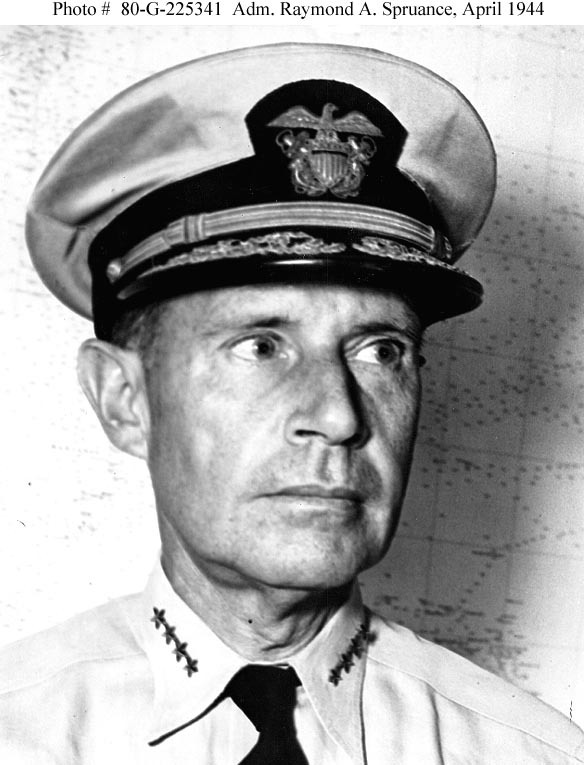 The Pacific War Online Encyclopedia: Spruance, Raymond A. Once in the harbor of Bizerte in French Tunisia, Osborne was anchored in 6 fathoms, or 36 feet, of water. A distraught torpedo officer rushed to the bridge and reported, "Captain, we've just dropped a depth charge over the stern!" "Well, pick it up and put it back," was Spruance's measured response. The brainy officer later served three tours at the prestigious Naval War College, one as a student and two as an instructor. As a student, he wrote admiringly of Japanese Admiral Togo, victor of the Battle of Tsushima, who kept his patience and cool head in battle and whose command style was to give his subordinates considerable freedom of action and let them exercise their initiative. These were the qualities that would characterize Spruance himself as a flag officer. Things move so fast in naval actions, and the consequences that hang on the results of these actions are often so momentous, that fast teamwork is essential. Teamwork is something that comes best from associations, training and indoctrination. There are too many variables possible in war for everything to be foreseen and planned for ahead of time. Our plans can be made out in great detail up to the time we hit the enemy. After that, they have to be flexible, ready to counter what the enemy may try to do to us, and ready to take advantage of the breaks that may come to us. To do that, the man on the spot must know where he fits into the operation, and he must be able to act on his own initiative either without any orders at all, because radio silence may be in effect, or on very brief orders because there is not time for long instructions. After war broke out in Europe, Spruance was named commandant of 10 Naval District, covering the Caribbean Sea. The destroyers-for-bases agreement in September 1940 focused attention on 10 Naval District, and Spruance received frequent visits from the upper brass. This included Ernest King, future commander of the U.S. Fleet, and the two officers developed a mutual respect. When the Marines held landing exercises at Culebra, Puerto Rico, King invited Spruance to observed the exercises from King's flagship, where Spruance became acquainted with "Howling Mad" Smith, the Marine amphibious landing expert. 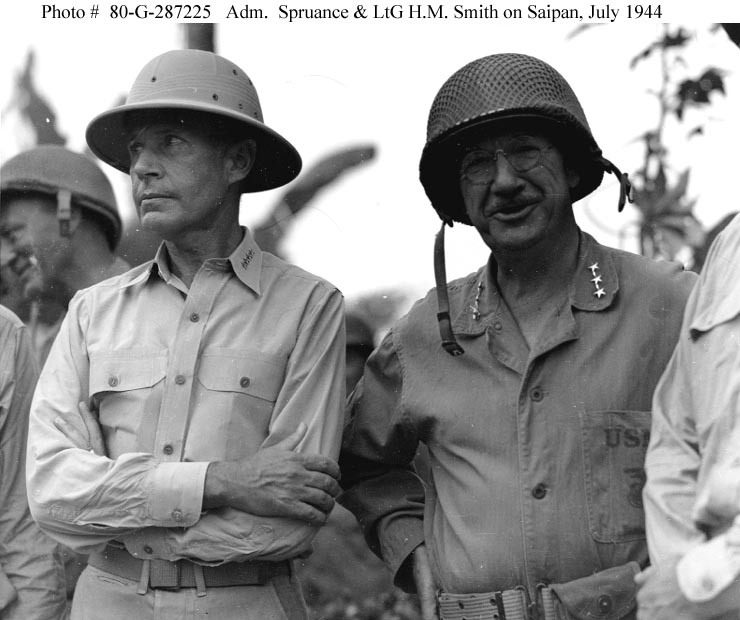 Spruance concluded that Smith was a man who knew his business. By the time war broke out in the Pacific, Spruance was a rear admiral and commander of Cruiser Division 5. When Nimitz took over Pacific Fleet, he assigned a second junior admiral to each of his carrier task forces to command its screen and lead any surface attack group that might be detached from the task force. 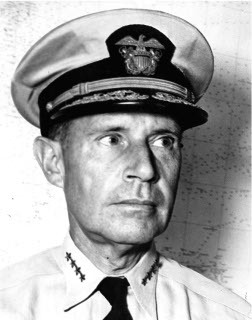 Spruance was assigned to screen Halsey's carrier task force, and led its surface attack group in the bombardment of Wotje during the Marshalls raid of 1 February 1942. 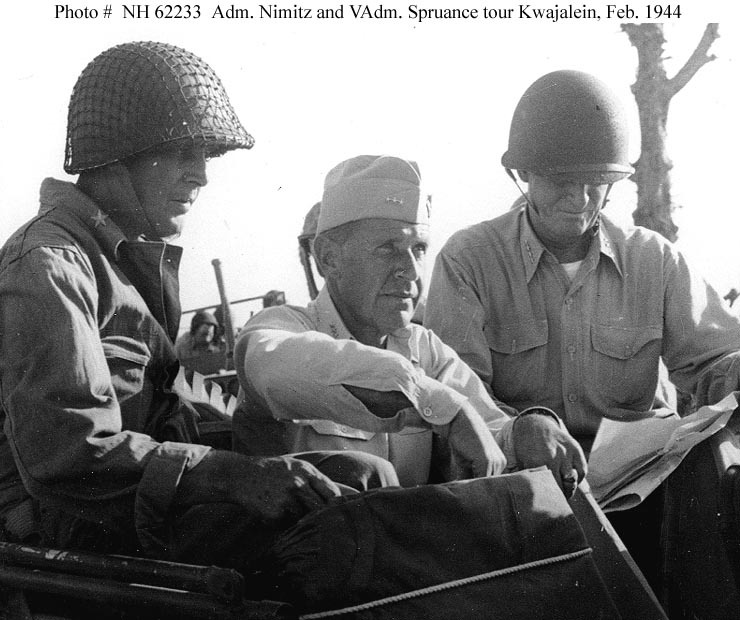 When Halsey fell ill before the crucial Midway campaign, Nimitz asked him to name his own replacement. Halsey named Spruance. 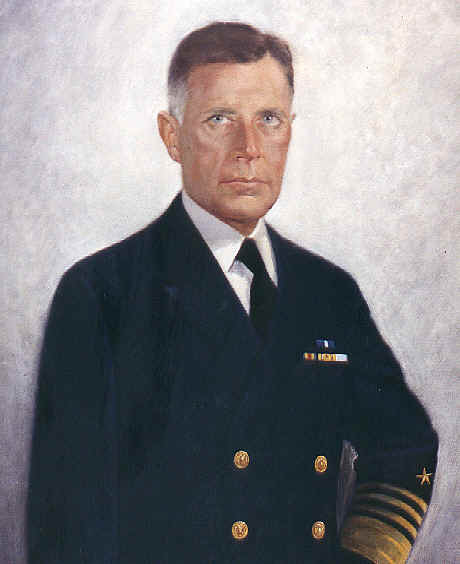 Nimitz had already decided to appoint Spruance as his chief of staff, but delayed the assignment until after the victory at Midway. Spruance had no aviation experience, but he was to be assisted by the brilliant if erratic Captain Miles Browning, Halsey's chief of staff. This did not work out well. "Halsey had the facility of taking the best advice of Browning and overruling him when his own judgement came into conflict", and he was sorely missed at the battle. Spruance's inexperience left him little choice but to let Browning run the air show, and Browning "did a terrible job" (Lundstrom 2006). Fortunately Nimitz had given Fletcher and Spruance a sound operational plan, which called for Fletcher to provide cover while Spruance launched a full deck load strike as soon as Japanese carriers were sighted and within range. The Japanese would presumably be preoccupied with striking at Midway, giving Spruance the opportunity to ambush the Japanese as they were refueling and rearming their aircraft. As it turned out, the Japanese had not divided their carrier force the way Nimitz expected, and Fletcher launched his own strike after a search failed to detect a second Japanese carrier force. The results were devastating. Spruance's and Fletcher's strikes chanced to arrive over the Japanese force at almost the same moment, and in just seven minutes the Dauntlesses knocked out three of the four fleet carriers in Nagumo's force. After Fletcher's flagship, Yorktown, was badly damaged by a counter strike of Japanese dive bombers, Fletcher turned tactical command of the American force over to Spruance, whose carriers launched a second strike that destroyed the fourth Japanese carrier, Hiryu. Spruance then made the controversial decision to sail east during the night. Spruance was criticized for letting so much of the Japanese Navy escape, but destruction of the Japanese fleet was never an expectation for this battle, and postwar analysis confirms that Spruance would have run directly into Yamamoto's powerful surface force, which was superbly trained for night actions, had he chosen to pursue the enemy. Following the battle of Midway, one of Spruance's staff read aloud a radio news report of a particularly gruesome murder in the United States. Another staff officer wondered how anyone but a madman could be capable of such a thing. Spruance quietly replied, "What do you think I have been doing all morning?" Spruance would later speak against the fire bombing of Japanese cities. He had an air admiral's best character — strong, straight thinker, not impulsive fluctuating thinker; he aims right at main point and go, no stop. This is good admiral. Halsey and Spruance were polar opposites in many respects. Unlike Halsey, who was an aggressive, flamboyant, and vulgar aviator, much beloved of his sailors, Spruance was an admiral's admiral – cool, intellectual, and calculating, with no aviation experience and no love for publicity. He was a nonsmoker and could often be found exercising on the deck of his flagship, and he insisted on an undisturbed night's sleep when not actually conducting combat operations. I believe that making war is a game that requires cold and careful calculation. It might be a very serious thing if we turned the wrong way, just once. Notwithstanding their different personalities, Spruance and Halsey were close friends, which helped make this unusual command arrangement work. In fact, Spruance had a knack for getting along with difficult people, including his friend Kelly Turner, the hotheaded commander of 5 Fleet's amphibious force. One exception was John Towers, a constant critic of Spruance, who Spruance came to despise for his naked ambition. Spruance also took some time to warm to Mitscher, who he believed (with some cause) had performed poorly at Midway. However, Spruance gave Mitscher considerable freedom to command the carrier force his own way, and the two men eventually developed a great respect for each other. 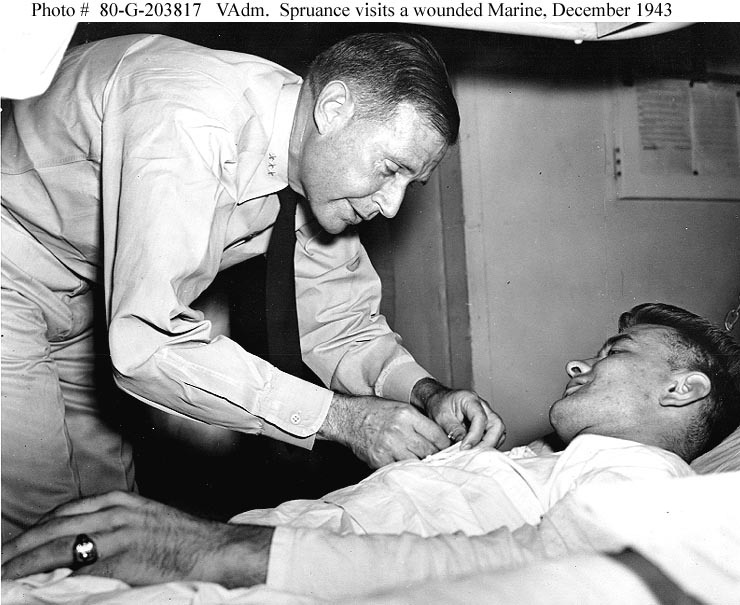 Unlike Halsey, Spruance never received his fifth star. Congress had only authorized the Navy to recommend a limited number of officers to become fleet admirals, and it came down to a choice between Halsey and Spruance. Halsey, the hero of the popular press, was the perhaps inevitable choice. However, Spruance was voted retirement pay for life at the full rate for a four-star admiral. After the war, Spruance served as president of the Naval War College, a post this enthusiastic autodidact had long coveted. 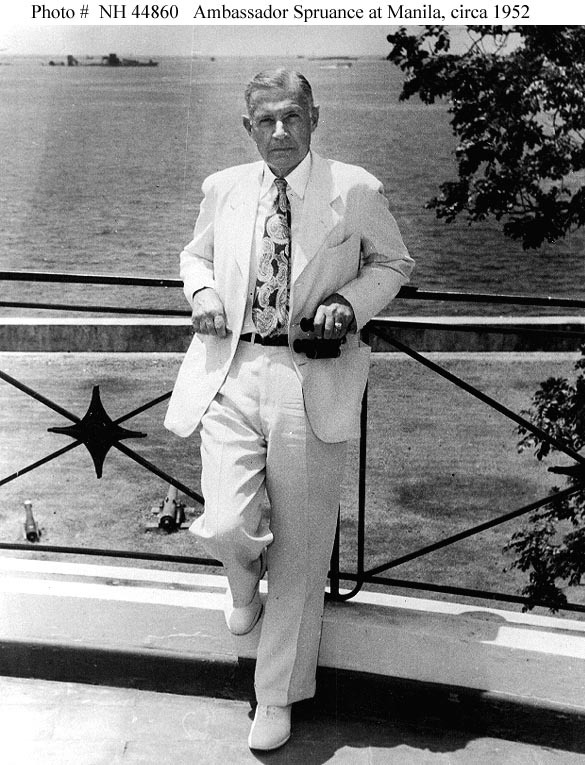 He served as ambassador to the Philippines and probably had a hand in covert U.S. efforts to help Magsaysay become president of the Philippines. The death of his son in 1969 seems to have put Spruance into a depression that lasted until his death from stroke later that year. He was buried at Golden Gate National Cemetery alongside his close companions in the Pacific War, Nimitz, Turner, and Lockwood. Graduates early from Naval Academy, standing 24th in a class of 209. Assigned to BB Iowa.